Tragedy struck our family last weekend when our 14-year old nephew unexpectedly passed away. It is the worst fear that all of us have as parents. There is no greater loss. Tommy had autism, and, like many of our own kids, was often referred to as “special.” Although that word is the socially acceptable term for describing kids with various handicaps, I have never liked it and seldom use it. Kids like Tommy and my son, Peter, are indeed special, but I don’t feel that my other son and nieces/nephews are any less special. I would be equally devastated to lose any of them. 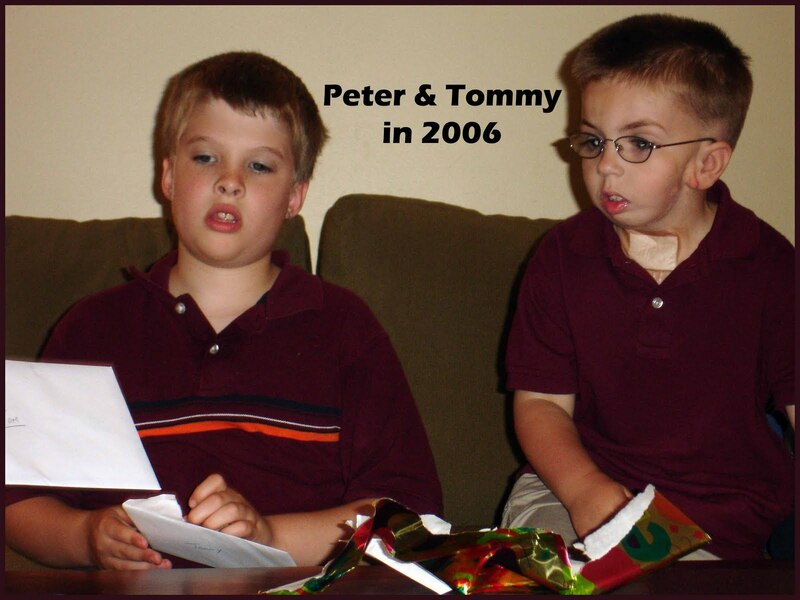 Rather than special, I like to think of children like Peter and Tommy as difference makers. They leave an intense lasting impression, they deeply change the people who love and care for them, and they possess insight that is much wiser than their age. Of the many amazing stories that were shared about Tommy this week, there is one that personally resonated with me. Tommy’s Grandpa would often take him out for breakfast at McDonald’s. They would always order exactly the same thing, although at various locations since they live in different states. On one visit, the cashier entered their order before they got up to the counter. Tommy’s Grandpa said, “We were here six months ago, and you still remember?” Of course she remembered. This did not surprise me. I often have the same experience with Peter. People may first notice his facial difference, but they usually walk away remembering his sharp humor, his thoughtfulness, or his insightful remarks. This may be a result of his challenging life experiences, but I think there is more to it. I see compassion and enlightenment that comes from a place deep within. It’s the essence of who Peter is and how he lives his life. It is the soul of someone truly touched by a higher power. As his parent, I am fortunate to see this gift in action all the time. This week, for example, Peter removed his prosthetic ear and told me that he didn’t want to wear it for the funeral. He said, “I think Cousin Tommy would want me to be just who I am.” What a profound statement from someone so young. I was speechless. I hate that Peter has to have so many surgeries, I hate that he has to endure stares in public, and I sometimes even hate how his needs have complicated my own life. We sometimes talk about how unfair all these things are, and how Peter wishes he wasn’t born with Goldenhar Syndrome. The overwhelming positive outcome from all his issues, though, is the far reaching influence he has had on so many lives. Families like ours, who face so many emotional and scary challenges with our children, have a different appreciation of life. Although we all cope individually, we are connected on a very deep level. I don’t believe that connection and relationship ever ends, even when the worst happens and we have to look toward a different future. Anyone who interacted with Tommy, even that cashier at McDonald’s, was changed for the better. Sometimes common sense does prevail!